﻿ Xavi: "Messi is unique. 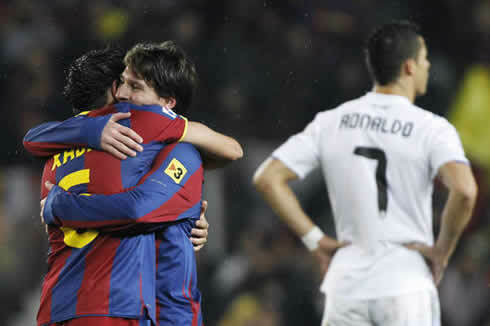 We can't compare him with Cristiano Ronaldo"
08.03.2012 » Xavi: "Messi is unique. We can't compare him with Cristiano Ronaldo"
Pointed by many critics and football fans as the main reason for Barcelona's tiki-taka success, Xavi Hernández decided to grant Lionel Messi with big praises, this last Thursday. The Spanish midfielder sees Messi as a unique player, who can't even be compared to Real Madrid's Cristiano Ronaldo. Barcelona's midfield maestro, Xavi Hernández, has spoken at this Thursday's press conference after his team's training session and lauded Lionel Messi's recent performances. Moreover, the Spanish midfielder believes that Messi is a one-of-a-kind player and that he can't be compared to Real Madrid's ace, Cristiano Ronaldo. Earlier this week, the Argentinian broke another record in the UEFA Champions League, by scoring 5 goals in a single match, in a Barcelona 7-1 home win against Bayer Leverkusen. The 32-years old midfielder has never met a different club than Barcelona in his whole career, having played for the Blaugrana since 1998! 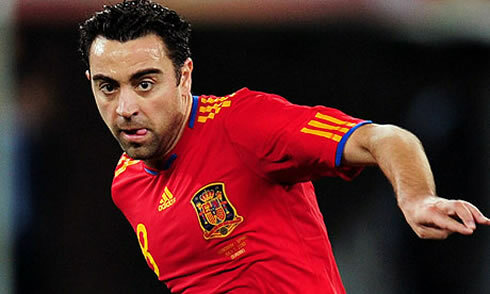 With more than 400 appearances for the club, from which he scored 70 goals so far, Xavi is seen by many as the engine of the popular Barcelona's tiki-taka playing style. This season, the 6-times La Liga winner has already scored more goals than in any other previous year (8 in La Liga, 12 in total), but surprisingly, falls short to several players in the Spanish League assists rankings table. With still 13 games left in the competition, Xavi has 6 assists, but still behind of Cristiano Ronaldo (7), Messi (8), Mesut Ozil (12), or Angel di María (13). Xavi started by commenting the latest Blaugrana performances, including the 7-1 home win against Bayer Leverkusen, obtained this last Wednesday. 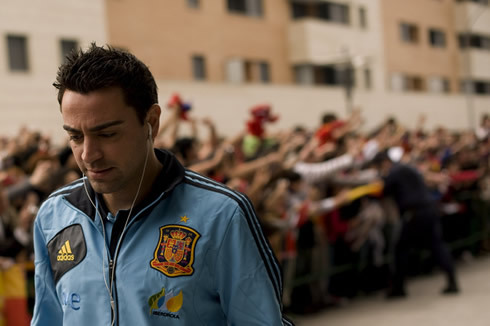 Xavi: "Good results may happen sometimes and others not, but we're definitely happy with the way we've been playing. We're having a great season and we'll do our best to recover the 10 points disadvantage in La Liga, even though that doesn't depend exclusively on us, but rather on who's leading the table [Real Madrid]", pointed out the Catalan player. When asked if this UEFA Champions League edition is destined to have another Clasico in hands, Xavi agreed that there is a good possibility for that to happen, but he also reminded that Real Madrid still has to beat CSKA Moscow, before the Champions League quarter-finals draw. 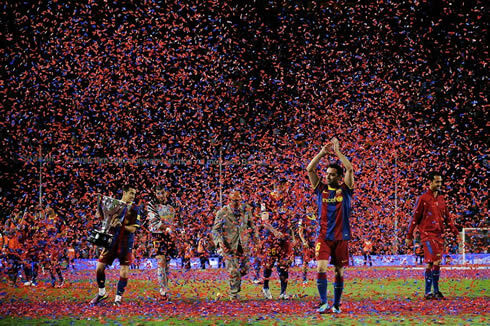 Xavi: "There have been a few surprises this year and there's still a quarter-finals draw coming up. However, Real Madrid has to win against CSKA Moscow first. If that happens, then it's true that there will be a good chance of seeing Barcelona and Real Madrid facing each other at the UEFA Champions League final." When it came to talk about what Lionel Messi has been doing and achieving for Barcelona, Xavi just surrendered to the Argentinian talent. 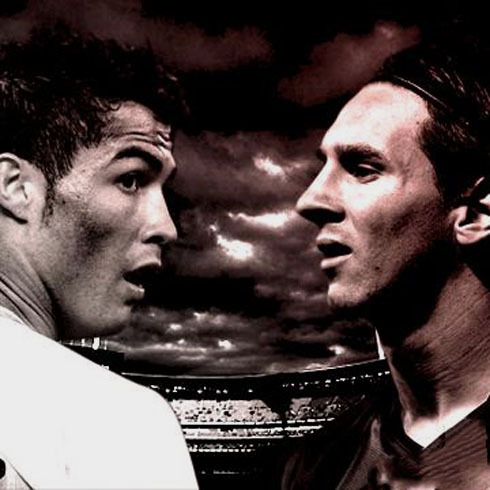 The journalists wanted to know the Spanish midfielder's opinion on a possible comparison between Messi and Ronaldo, but he preferred not to do so. 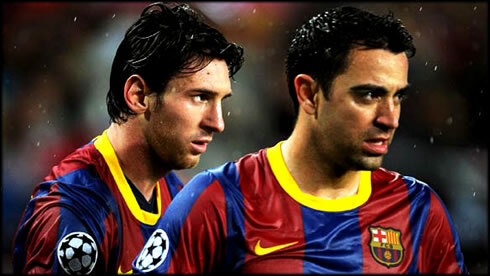 Xavi: "Leo Messi is incomparable, as he is a unique player. There simply is no other player who can make the difference as he does and in so many games. When he doesn't score a goal, he assists you. He truly is fantastic! 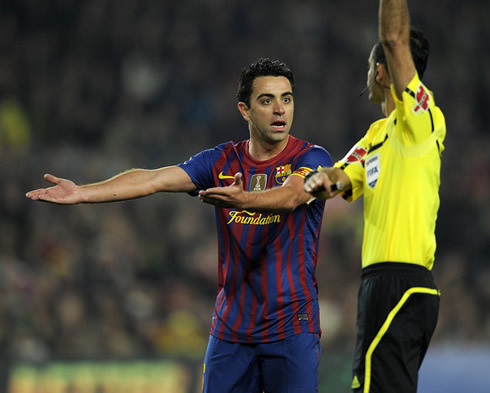 ", remarked Xavi when praising his Argentinian teammate at Barcelona. He would still leave a note on how important Pep Guardiola has been for Barça and Lionel Messi's development as a player. 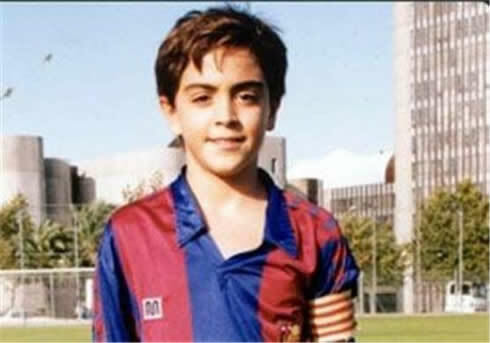 Xavi: "Pep Guardiola has given everyone a boost in motivation, confidence and emotional balance... He is the key for everything to work out so perfectly. 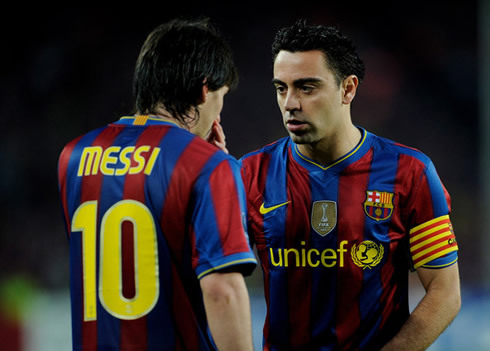 He has also seen how Messi could help us more, if playing with him at the number 9 position and results are there for everyone to see...", concluded Xavi. Barcelona will play against Racing Santander for La Liga this weekend (Sunday), at the "El Sardinero" stadium. Real Madrid next game is against Betis for La Liga, in Sevilla, next Saturday (10-03-2012). This Saturday, you may watch Betis vs Real Madrid live, Chelsea vs Stoke free, Sunderland vs Liverpool online and Everton vs Tottenham, all from our soccer live streams section. Cristiano Ronaldo is expected to be on the line-up when Real Madrid visits Betis this Saturday.